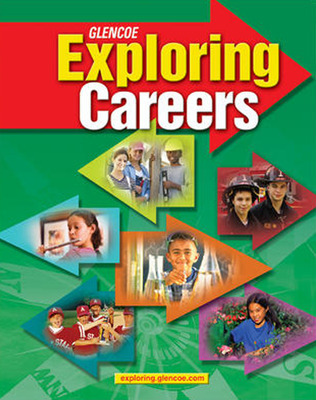 Glencoe Exploring Careers explores each of the 16 career cluster options and workplace realities for middle school students, preparing them for the rapidly changing opportunities in the work world. Glencoe Exploring Careers explores each of the 16 career cluster options and workplace realities for middle school students, preparing them for the rapidly changing opportunities in the work world. As they explore each of the U.S. Department of Education career clusters, they'll build foundation skills and workplace competencies and learn how each new skill can help them build successful careers. Attractive visuals and an easy-to-read style invite students of all backgrounds and abilities to explore the content.